Activating one of our maintenance plans is the best way to guarantee that your product is always cared for by our expert technical personnel. 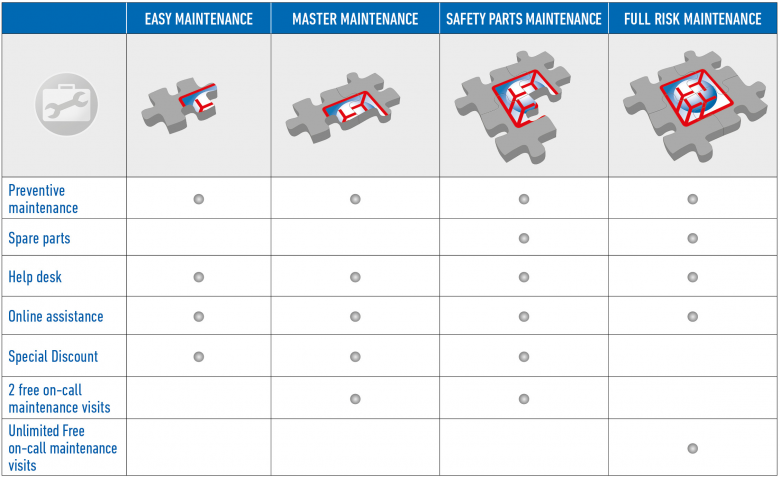 Our maintenance plans are divided into 4 tiers to better suit your specific needs. All plans include one year, 3-year and 5-year options, request a quote for your facility.